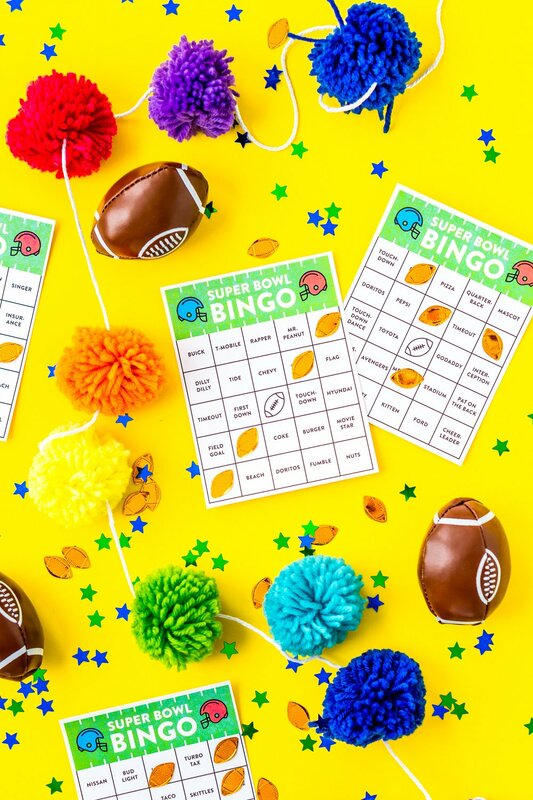 These Free Printable Super Bowl Bingo Cards are a fun way to add even more entertainment to your party, 16 different bingo cards that are great for all ages! 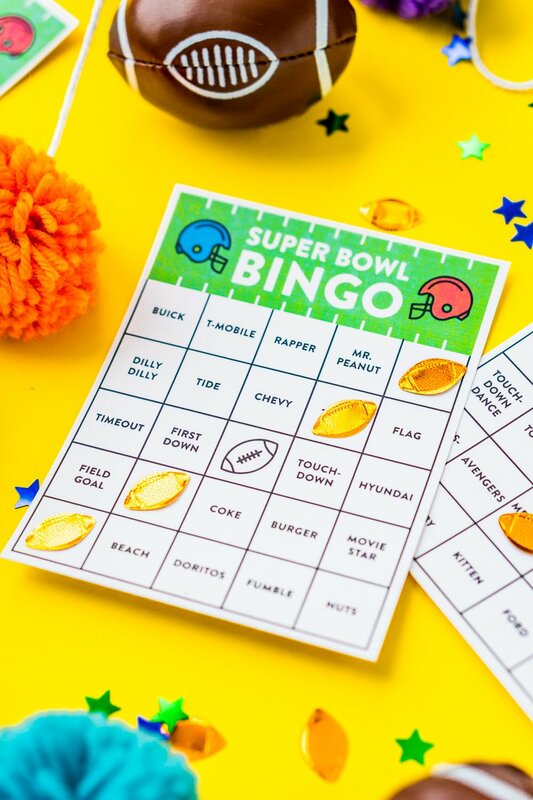 These Super Bowl Bingo Cards are an easy way to add a little more fun to your game day party! 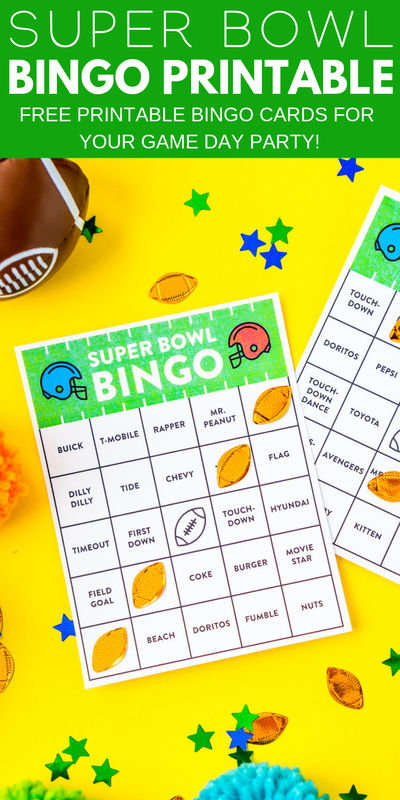 This FREE PRINTABLE will have the whole family getting in on the fun even if they’re not big football fans, but let’s be real, even if you’re not into the game, you’re definitely going to stick around the for game day food and hilarious commercials! What I Love About Super Bowl Bingo! They’re great for all ages and there are 16 different options which means a lot of people can play or people can even play with multiple cards. Mostly black and white other than the header so it won’t use a ton of ink! The perfect size! There are 4 cards per page so you don’t have to use up a ton of paper either and the squares are the perfect size for pennies, candy, bingo daubers, or other markers! A mix of football and commercial related words! They’re timeless! These printables don’t have any references that could be considered outdated come next year which means you can use them again and again. And since no game or commercial lineup is ever the same, they will never get old! Make sure to scroll all the way to the bottom to get your FREE printable bingo cards! 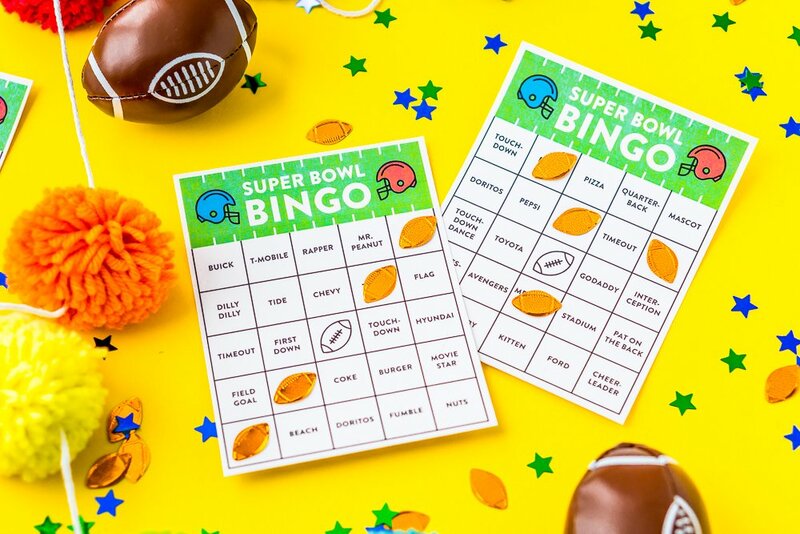 For these Super Bowl Bingo Cards, I highly recommend printing them on cardstock so that they hold up better, especially if you’re using daubers to mark them. But of course, regular paper will work too! You can also either cut them with scissors or if you have a paper trimmer, that works best because it creates quick and even cuts. Don’t forget to whip up some delicious game day grub like these Peach Barbecue Little Smokies or this Easy Football Cake too! And of course, it wouldn’t be a game without a prize! Here are a few of my favorite prize ideas! Click the button above to save this fun activity to your board!